The IT industry is full of tough challenges for developers who are one step away from creating new forms of interaction. The trend of web scripting is growing rapidly and developers are striving to develop web pages which automate more tasks on a website. The benefit of client-side scripts is that HTML supports it regardless of the language that is used for scripting. By using these scripts, developers are able to introduce plenty of highly active ways to enhance HTML documents. Scripting provides a better way to make websites interactive. It is very useful in the creation of dynamic HTML pages. The main advantage of client-side scripting is that the code at the client-side of the machine is executed on the user’s device when the page is loaded and server-side coding is executed by the server, whereas all the browsers use their own resources for loading a page on the world wide web which make client-side scripting more usable. If someone wants to make his webpage playful and interactive, then he can add variety of inventive and clever scripts. Here is a list of sites that have some great code to enhance your site or next project. 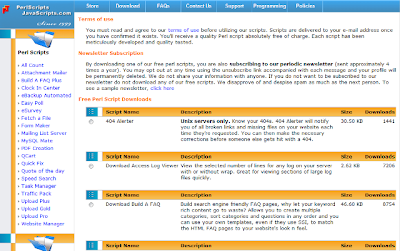 This site provides scripts in many languages. This webpage is good for those who want scripts in different languages and are short of time and don’t want to search everywhere. This site has close to 10,000 scripts in their database. PHP junkyard is very famous amongst PHP developers. 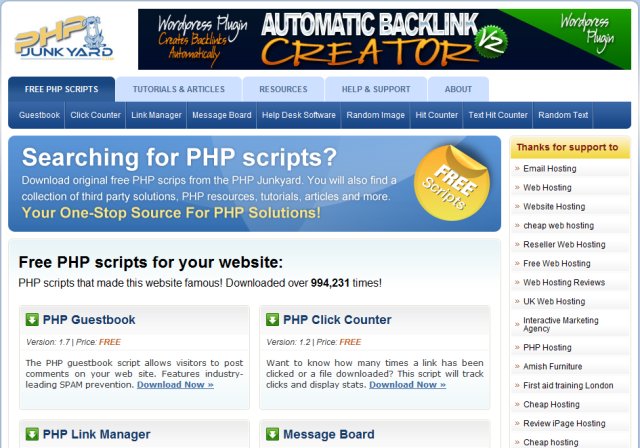 This site offers original PHP scripts for free. 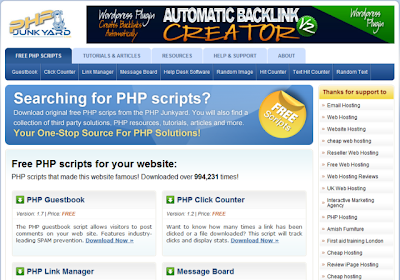 Along with PHP scripts, you can also find third party solutions, other PHP resources and tutorials. You can call it a complete package for PHP users. The good thing about the site is that all the scripts are original and this is what made this site famous amongst PHP developers. 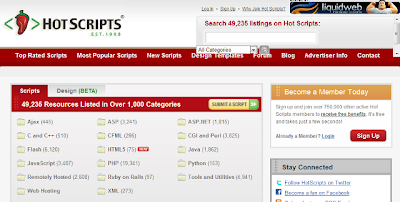 HotScripts is another popular script site. 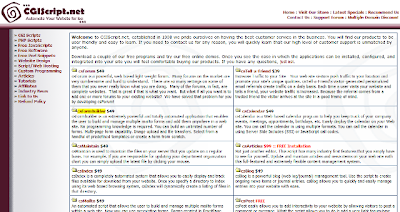 The library of this site is full of scripts in more than one 1,000 categories. I must admit that it is a perfect destination for those that need scripts for interactivity. 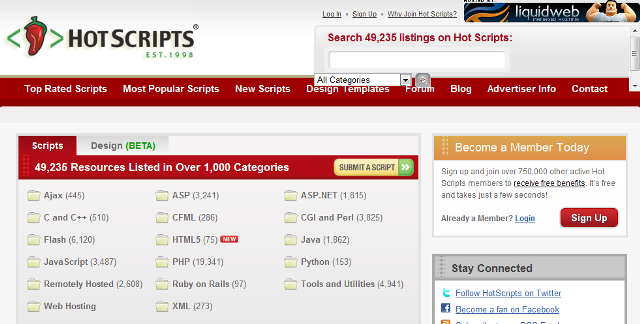 Developers who work in any language will surely find something valuable on the Hotscripts site. 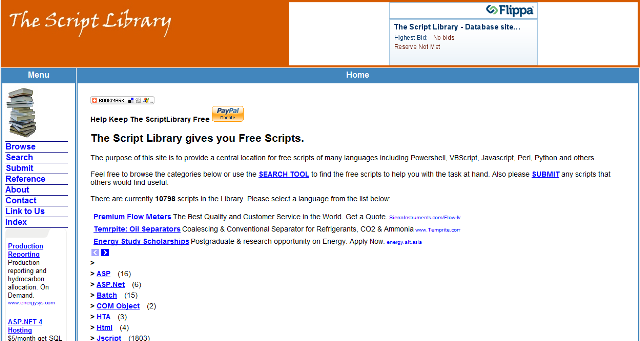 The library of this site has free scripts in languages like ASP, PHP and java. Network administrators may find some of the scripts incredibly useful. This collection has been taken from all over the internet and collected on one site. This site has many types of PHP scripts. According to the admin of this site, they have open source scripts like PHP forums, CMS, E-commerce solutions in PHP and more. The thing which I like most about the site is that they give you a preview before downloading which will prevent you from installing the wrong script. This site was developed in 1998 and claims to provide the best services. The site is full of PHP and CGI scripts. They provide free demos before downloading. 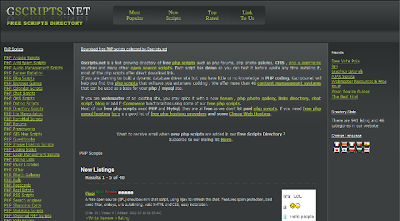 They also supply perl snippets, web designs, tutorials and etc. 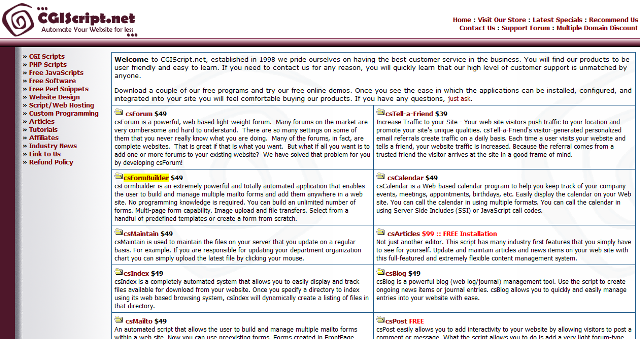 If you are searching for CGI or PHP scripts then find it here on Cgiscripts and automate your web page by using them. Perl scripts and Java scripts provide free downloading of scripts in Perl and Java as the name suggests. They claim that their scripts are of good quality and are developed and tested scrupulously. If you want to download a script you just need to confirm the terms and conditions. They will send your preferred script through email. 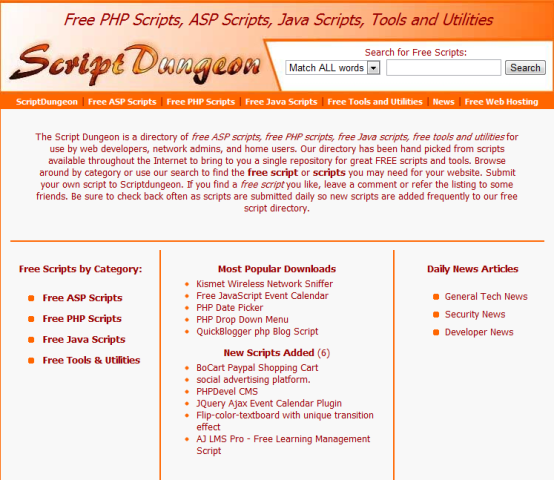 Script copy has a variety of PHP scripts in their directory. Their database is full of many interesting and fresh scripts. This website will help you to integrate a modern style of automation in your website. 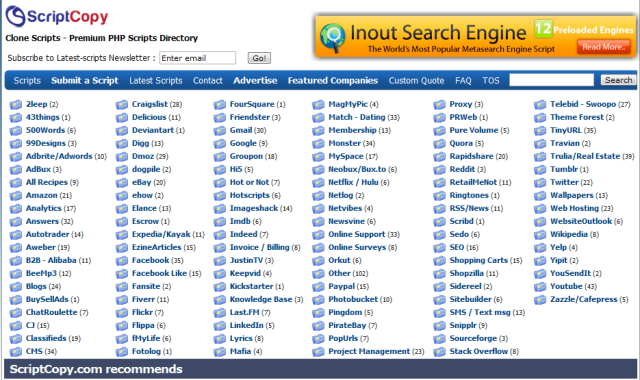 They also give you their recommended scripts for your website which are popular amongst their visitors.